Your inbox needs a mini dose of delight. We deliver motivating, informative, and inspiring content, all wrapped up in a chic little email. No negative vibes, just need-to-know updates for mums, recommendations on where to hang out with your kids, and smart reads. I wish I knew about this when I was on mat leave! I have only just returned to work a couple of months ago, my little one is 10 months old and a pure delight. In the early days at Mothers Group we actually talking about ‘if only’ there was a way of knowing where to go and what facilities places had for parents and bubs/kids – even down to the best parents rooms!!! LOL – if only I knew this website existed then….. I have now shared it with my Mums group. Hope they will sign up too! You are beyond amazing and utterly sweet! I just read this and have tears running down my face, but for once they are happy tears. I was really moved by your support. Absolutely love your posts, emails and genuine care. Thank you and please keep doing what you’re doing because I am loving it! 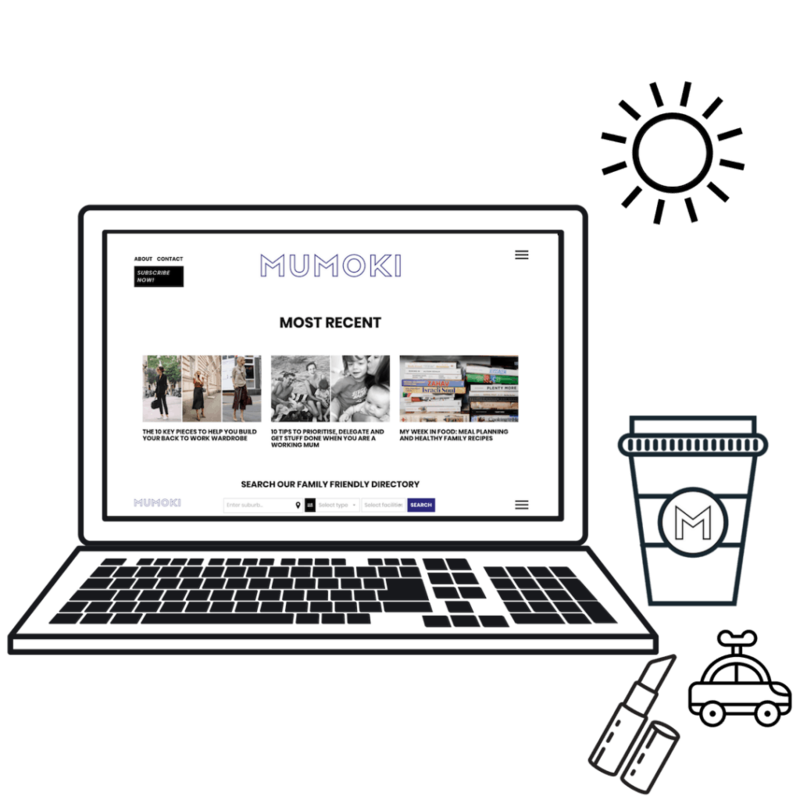 I recently signed up to MUMOKI and love it! I love what your doing and think its so important for mums and parents to connect, and have a feeling of community, to turn to for help or advice, and local knowledge on everything baby/kids! Parenting can be so isolating and overwhelming – I’ve been there 3 times with 3 little kiddies! Just feeding my baby after my first night out with the girls since he was born in October. I always read these in the middle of the night and flag things to do from them! Can I just say – love it 😘! I read it every time it appears in my inbox!